Sleep. The recommended 7-8 hours of sleep each night is one good way to keep your immune system up and running. Exercise. Exercising on a regular basis keeps your body fit and your immune system healthy. Reduce Stress. Easier said than done but it is essential in maintaining your health. Cut out as many of the stressors as you can and find ways of coping with the ones that you can’t dismiss from your life. Deep breaths and self care can go a long way. Antioxidants. Fruits and vegetables are rich in antioxidants which play a central role in keeping your immune system operating properly. One of the many benefits to a vegan lifestyle is that you are probably getting plenty of those. So come in and eat up! Wash your hands. Whether you’re riding the L, at work, or playing with your kids, the best way to avoid contracting and transmitting germs is by regularly washing your hands. Doctors recommend that you scrub with soap and warm water for 30 seconds. 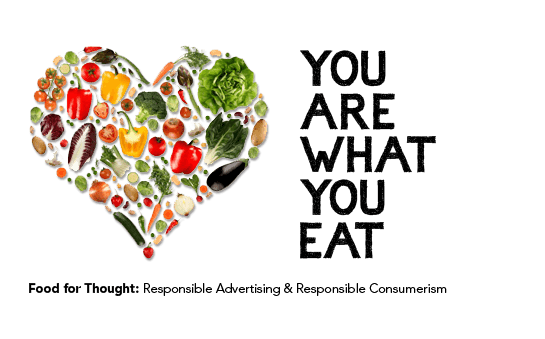 At Original Soul Vegetarian, we take a lot of pride in our food. 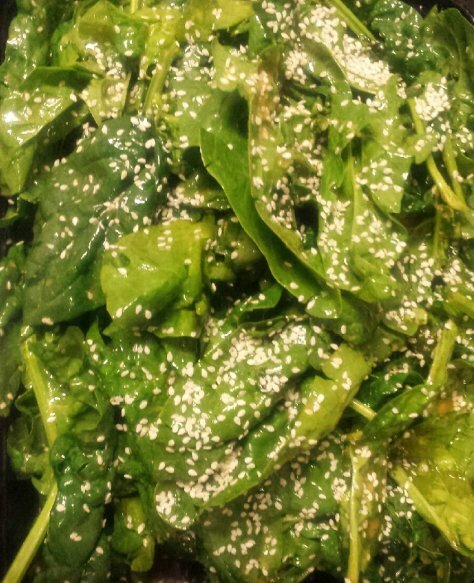 Everything is made fresh daily and we use ingredients that are plant-based and chemical-free. We believe that soul food isn’t just good for your soul; it’s good for your body. 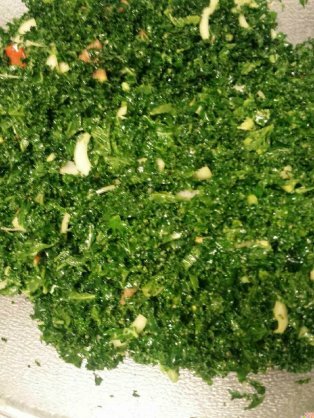 So when it comes to planning the menu items, we choose ingredients that are full of nutritional value. 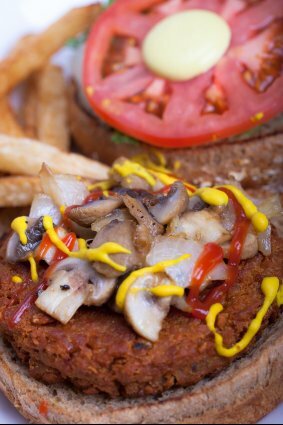 For example, the vegan burger pictured above is packed with protein. Why are we so focused on the health benefits of our food? Because we firmly believe that “your health is your wealth.” What do we mean by that? Your health is your greatest resource. You can have all the money in the world but you can’t really live if you don’t have your health. Being healthy—free of both physical and mental injury—allows you to do the things you actually enjoy. If you are tired, ill, sick, depressed, anxious, or stressed, you get by with just doing the things you have to do to survive not the things that you enjoy. But if you are healthy and happy, you can lead a vibrant, active, and full life. That’s why we serve food as medicine. Is Meat the New Tobacco? After decades of Big Tobacco marketing cigarettes as glamorous, the tide has finally turned. Smoking is generally recognized to be linked to all kinds of negative health outcomes including a shorter life expectancy, cancer, heart disease, and stroke. But Big Tobacco isn’t the only one. 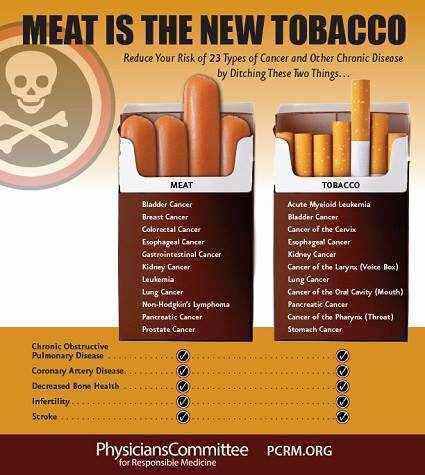 The meat industry is responsible for just as many deaths and poor health outcomes as smoking. The three most fatal diseases in America are heart disease, cancer, and stroke. All three have been found to be linked to the overconsumption of animal products. Not surprisingly, vegetarians and vegans have significantly lower rates of these diseases than meat eaters. Doctors have been able to not only prevent, but also reverse, heart disease in patients who switch to vegetarianism or veganism. In addition, doctors and researchers found that better eating habits (less animal products) and exercise are just as helpful at preventing cancer as quitting smoking. Your health is your wealth. This is why we serve food as medicine. Chicagoans boast that no city is better than Chicago in the summer. Here’s some tips to keep you healthy and happy all summer long so you can make the most out of it and enjoy everything that the city has to offer! Protect your eyes. Wear sunglasses that shield 99% of A and B Ultraviolet rays. Get outside and exercise. Experts say that you need 150 minutes of moderate intensity aerobic exercise (or 75 minutes of high intensity aerobic exercise) a week plus strength training twice weekly. So walk, run, bike, play beach volleyball, take advantage of free yoga in Millennium Park, or rent a Divvy. Get some Vitamin D. If you’re outside for short periods of time, lay off the sunscreen, which prevents your body from absorbing Vitamin D from the sun. However, make sure to lather on some SPF if you’re going to spend hours outside to protect against skin damage, wrinkles, and cancer. Eat berries. This is prime berry season and they have lots of antioxidants and fiber, which can reduce risk of illness, keep cholesterol low, and prevent some cancers. Stick to a normal sleep routine. While it’s tempting to stay up later in the summer, try to get the recommended 8 hours of sleep. It’ll make for a happier, healthier you.